Alexa allows people to interact with the technology using voice commands, so we now can speak with a device by asking questions in a way that feels natural. Nevertheless, people have started taking assistance from Alexa to take care of heaps of tedious rational tasks. In actuality, Alexa is helping people to stay organized and focused on the tasks that matter, simply by using their voice. Now you can manage your calendar, notify IT department about the issues or switch off your home AC from office. Amazon Echo, Echo Show, Echo Dot, Echo Look and Amazon Tap are just about prominently used voice-enabled devices running on Amazon Alexa voice interface. Why Your Business Needs Alexa Skills? Until May 2017, Amazon sold more than 10 million Alexa-enabled devices. Alexa skills marketplace has achieved incredible growth thereby creasing the total Alexa Skills from 1000 to 15000 in just one year. 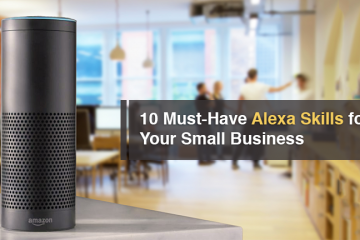 In fact, business analysts taking notice of this trend have predicted that the Alexa is set to become a $10 billion industry by the end of 2020. Even Gartner estimates the importance of voice assistants, it predicts-30% of human interaction with machines will take place by voice commands. Indeed, voice interaction will be the next paradigm shift in the technology that will define the interaction between humans and machines. Taking a leap ahead, Alexa has made it API open for developers to build Alexa Skills, which will be third-party apps developed by taking advantage of Alexa’s incredible potential. For businesses, it’s “Now or never” situation. Remember, early adoption gives way to innovation offering enough opportunities to seize the larger share of the market and define what the future of voice looks like. With Alexa, it becomes easier for an employee to keep the focus on important tasks and increase his/her productivity. Customized Alexa skill development empowers employees to keep track of his/her calendar, to-do-list, and to set reminders. Employees can directly dial into their conference calls and make phone calls with voice commands. Employees can find all the business related information like sales data, warehouse or inventory status with preset voice commands. Henceforth, you can control your conference room settings and the meetings with voice commands. Alexa skills integrated to simplify conference room, forbids users from using remote controls, offering presentations or looking up into conference call information. A simple voice command “Alexa start my meeting” will begin your meeting. Additionally, businesses can use Alexa-enabled devices as audio conferencing devices in smaller conference rooms or can control equipment or other devices in a larger setup. Apart from that, Alexa brings flexibility at workplaces by allowing employees to carry out important tasks with voice commands like checking inventory levels, conducting induction, or helping with on-job training. Indeed, Alexa assists businesses to run their workplaces more efficiently. An Alexa skill has the potential to voice-enable your entire workplace and help employees with their routine tasks. Now businesses can use Custom Alexa Skills to provide directi0ns, order new supplies, find an open meeting room, notify IT department about an issue, or to report similar problems. Have you ever thought of offering rich, interactive and personalized voice experience to your customers? Alexa makes it happen by voice enabling your products and services. Few popular restaurants in the USA are using Alexa to make their gusts feel comfortable by enabling voice-enabled devices to play their favorite music and assist them in ordering a room service. Alexa Skills developed around your products/services. An elegant Alexa Skill developed to convey useful information about your product/service and provide support whenever your users run into problems is a unique way of marketing your products or services to the masses. Building customized Alexa Skills for your products/services is like redefining customer interaction. Statistics say more than 50% of millennials prefer using voice commands to interact with their smart devices. Nonetheless, people representing Generation Z (post-millennial generation) organically utilize voice as their primary form of interaction for any machine. Today’s workplaces are already accommodating millennials and in sometime, Generation Z is expected to join them necessitating the importance of Voice commands in a productive business environment. As Alexa Skills are new to the market and yet not much has been done in this vertical, businesses still have a good deal of space to experiment with Alexa interface and provide the best interaction experience to users. Start by augmenting existing web apps and mobile apps with voice-enabled digital services leveraging Amazon Alexa Voice Interface. 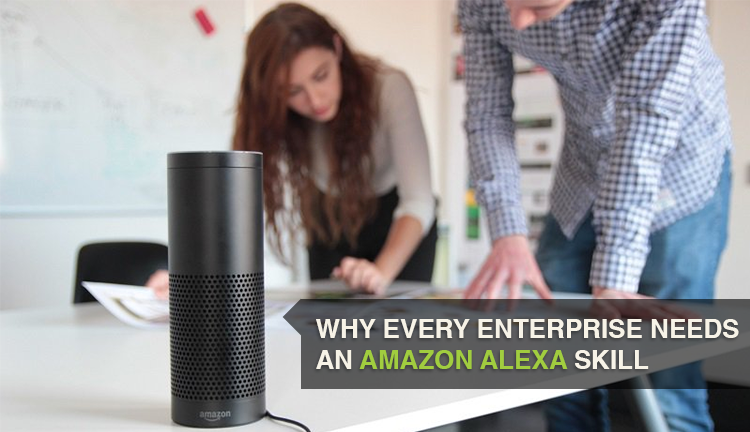 We, at Sphinx, particularize in building Amazon Alexa Skills for almost all industry verticals with our expertise in mobile application development and voice search-based solutions and devices. Let’s create user interactions that feel natural, adds or delivers value and works exactly in the same way you imagined. Our experienced team of Alexa Skill Developers will help you to host your skills in the cloud, to submit it for certification and to publish it on the Alexa Skill Store.